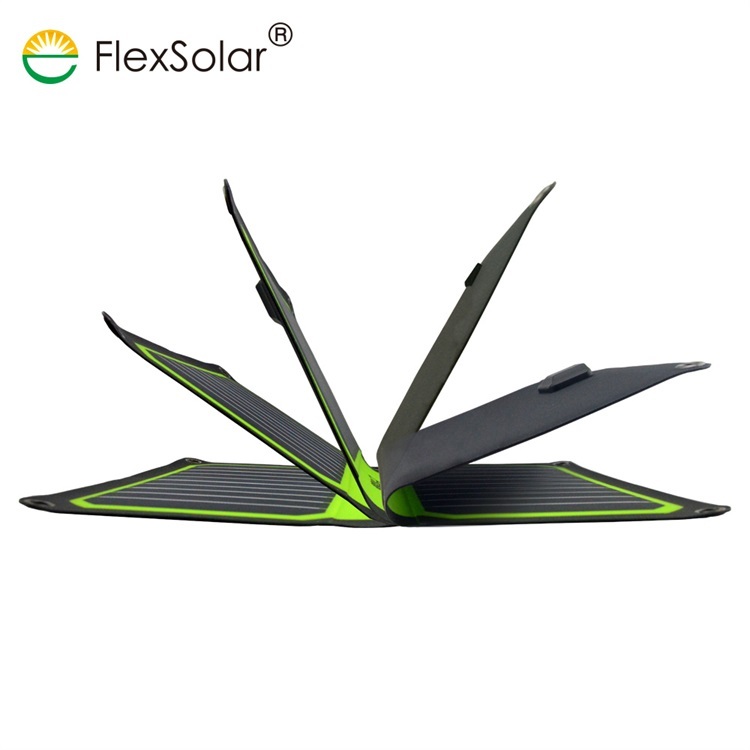 Design for charging outside at anywhere anytime, FlexSolar focus on where there is light, there is electricity, This 10.6W portable foldable solar charger is your best choice for outdoor. 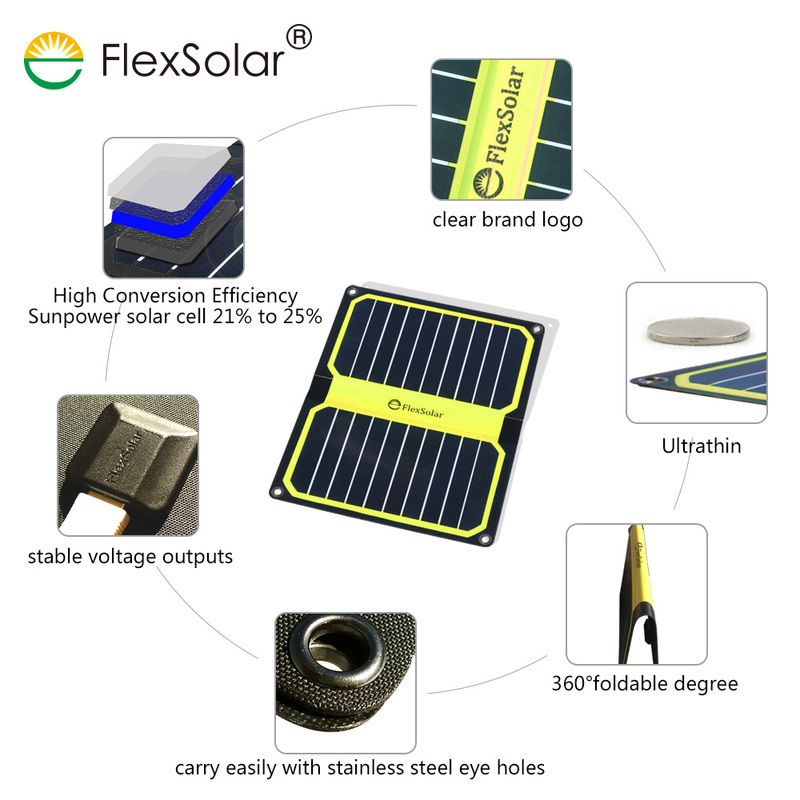 1.High Efficiency: Flexsolar foldable solar charger with high-efficiency SUNPOWER solar cell imported from USA, the efficiency can up to 21%-25%. 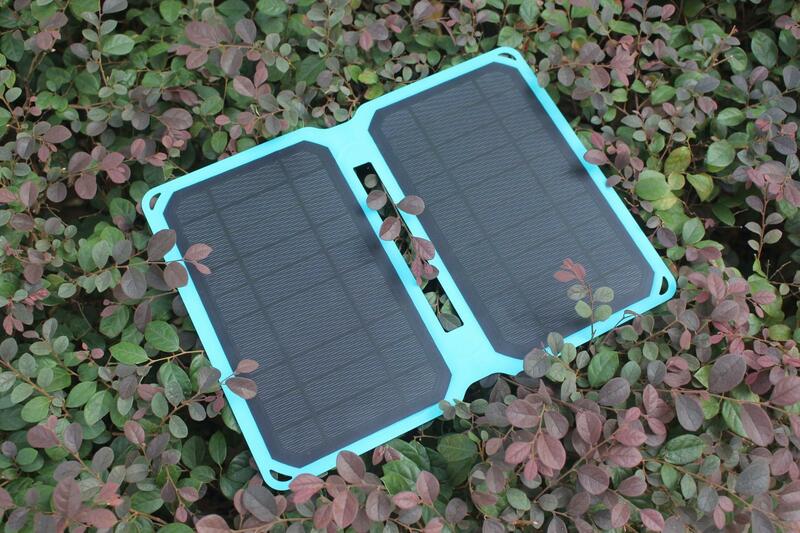 2.Fast Charging : 5V 2A output, The device can be full-charged only within 2-3hours in sunny day or under direct sunlight by this 5v foldable solar charger. 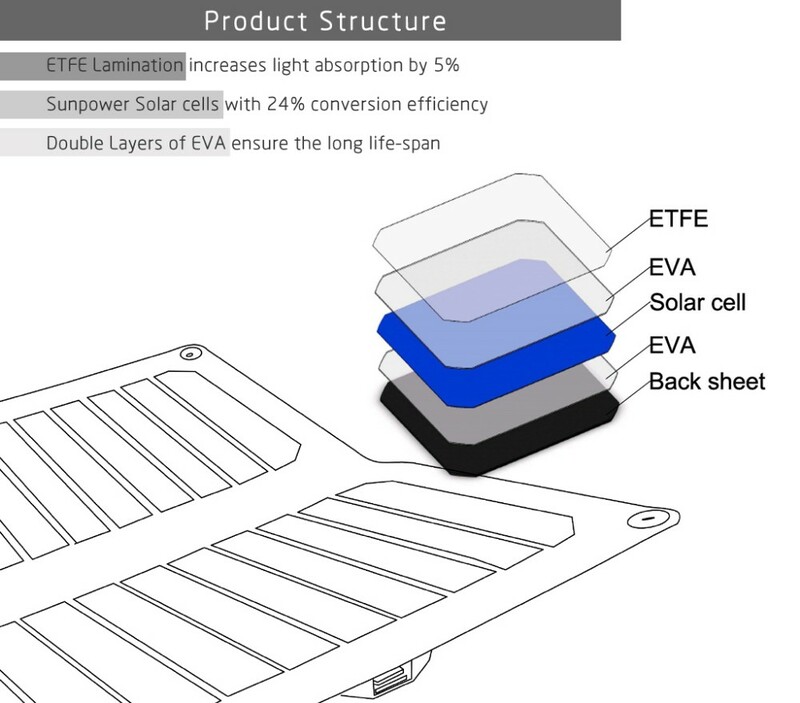 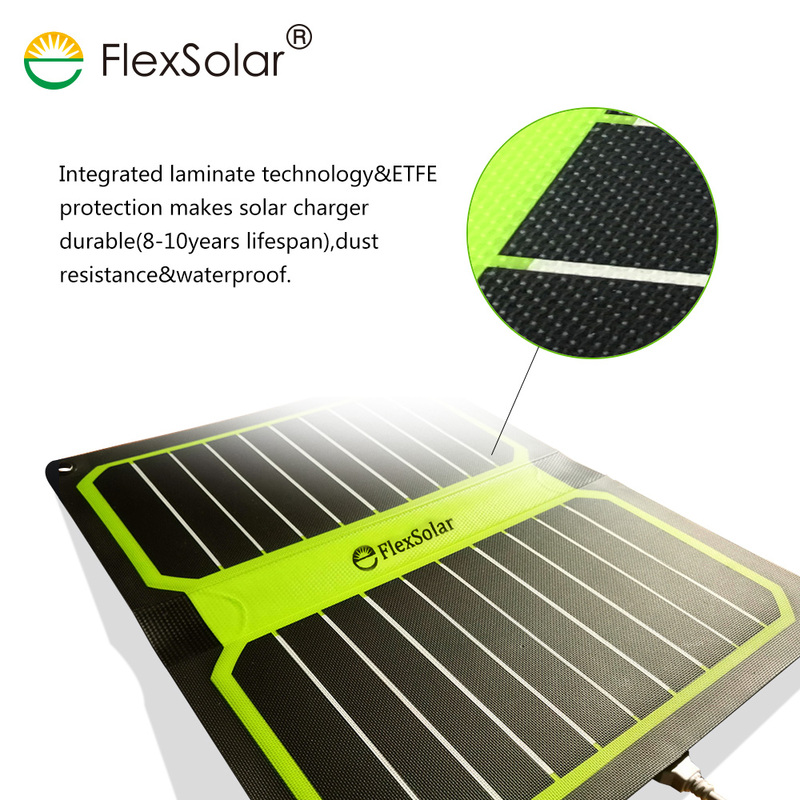 3.Portable, Water-Resistant and Long Lifespan: With our integrated ETFE lamination process, ETFE solar panel charger 's lifetime can up to 15-20 years under normal outdoor condition. 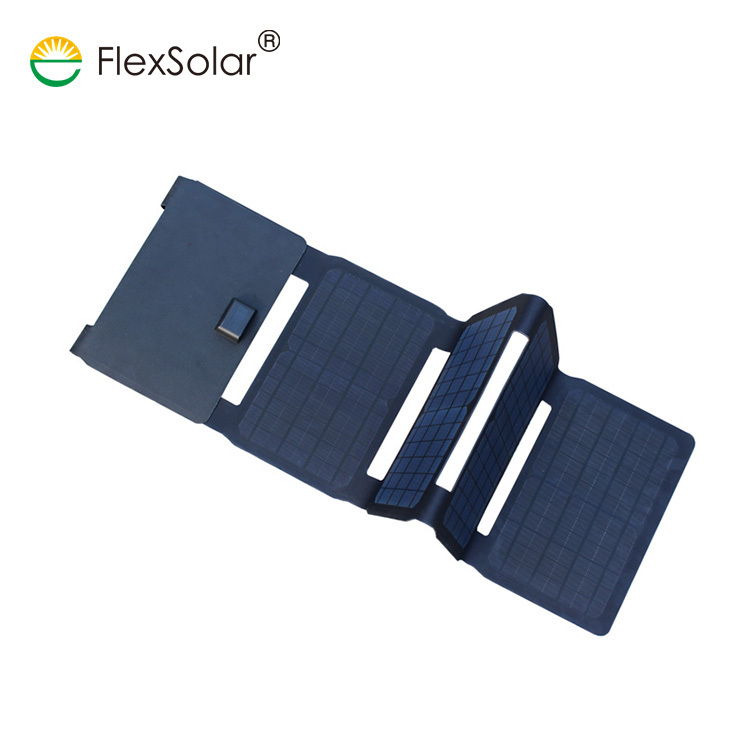 4.Wide Application: This high efficiency foldable solar panel charger can be used to charge ALL 5V electrical devices, such as smart phone, ipad, tablets, GPS and others gadgets. 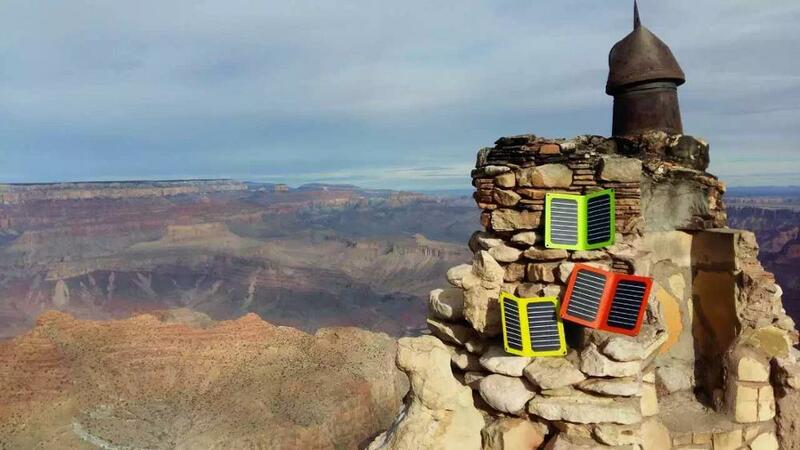 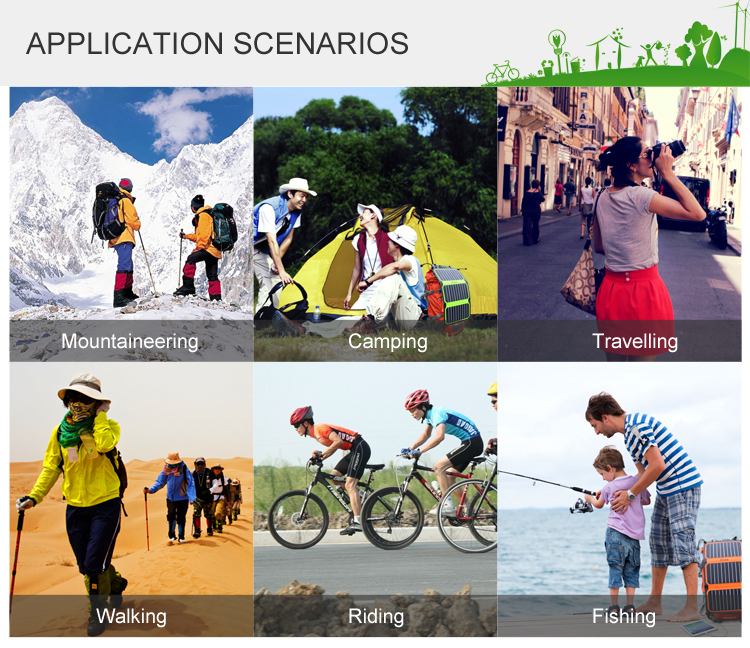 The 10W portable foldable solar cell phone charger is quiet, simple to use, and environmentally friendly, which makes them great for bringing more comfort for hiking, camping, and outdoors military training, etc. 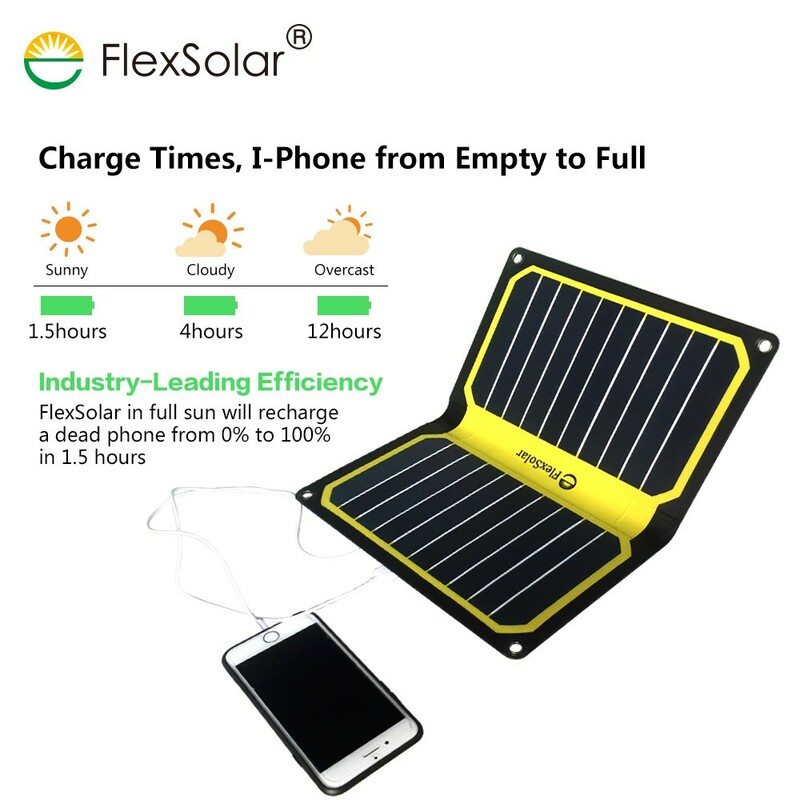 The solar phone charger convert sunlight into electrical charge, then you can use this electrical 10w portable usb solar charger to run electrical devices such as tablets, laptops, your GPS, and other gadgets. 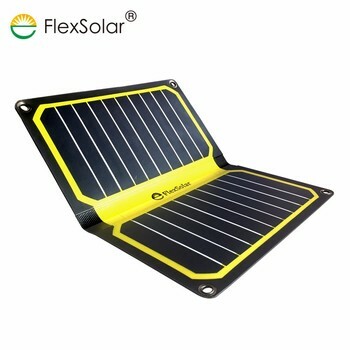 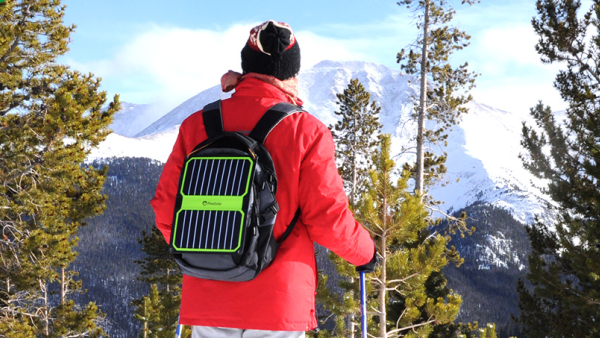 So that even in absence of power support, there is electricity as long as there are sunshine and flextech 5v fold solar charger. 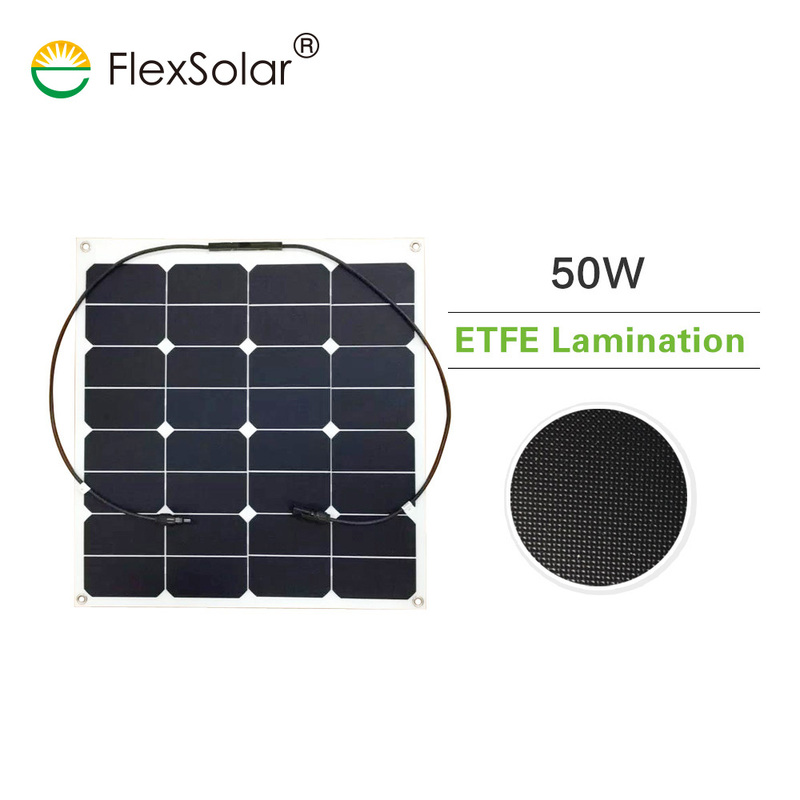 ETFE integrated lamination: high quality ETFE and processing, makes product high quality. 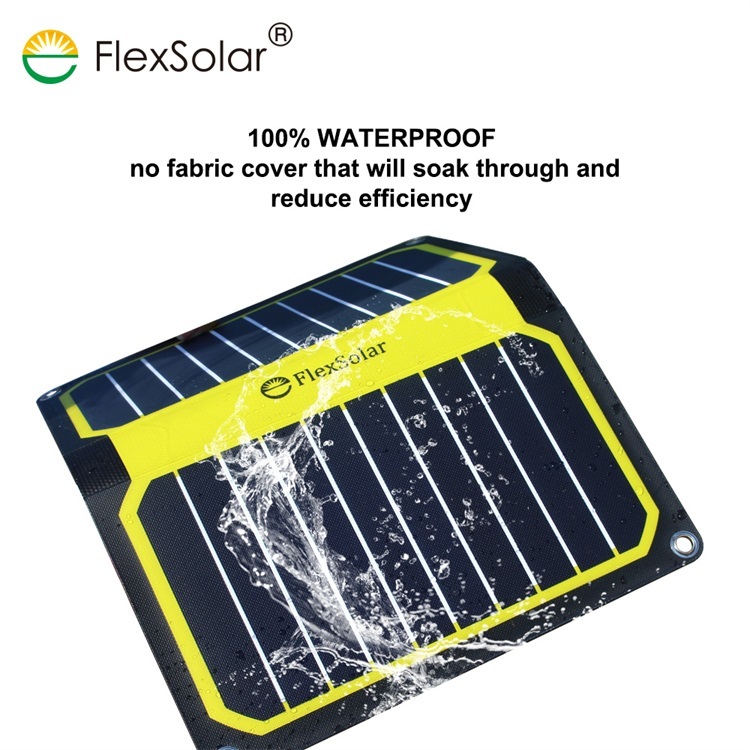 Yes, 100% waterproof, no fabric cover that will soak through and reduce efficiency. 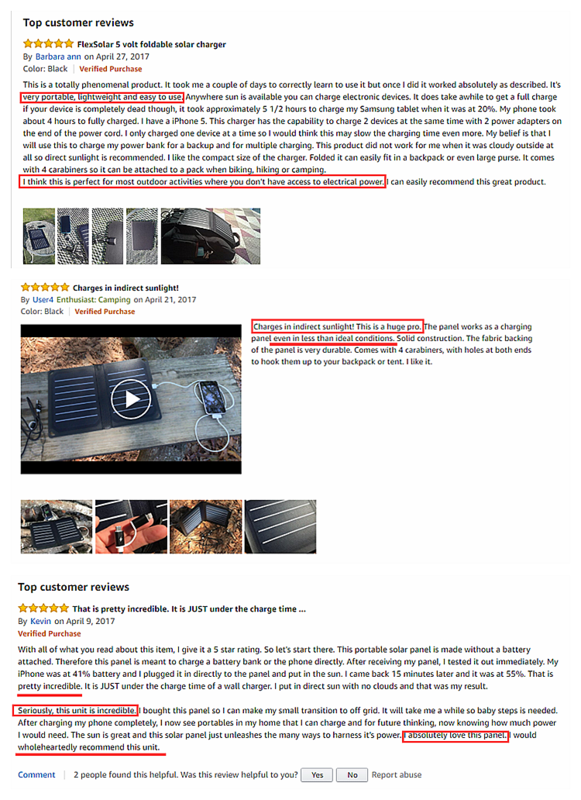 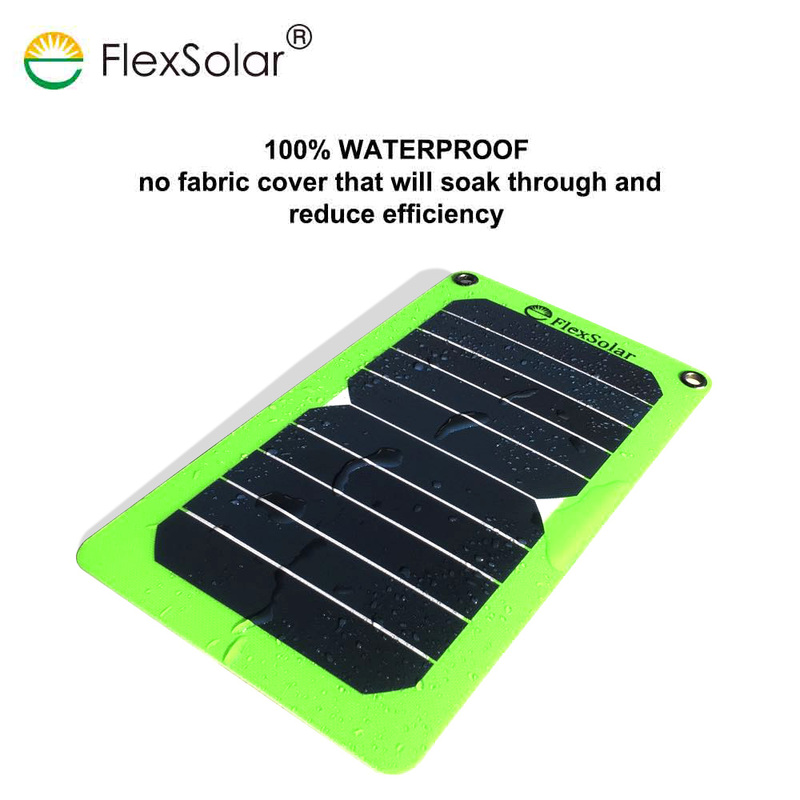 The uniqe tech makes Flexsolar waterproof solar charger super quality and performance compared with other product in the market. 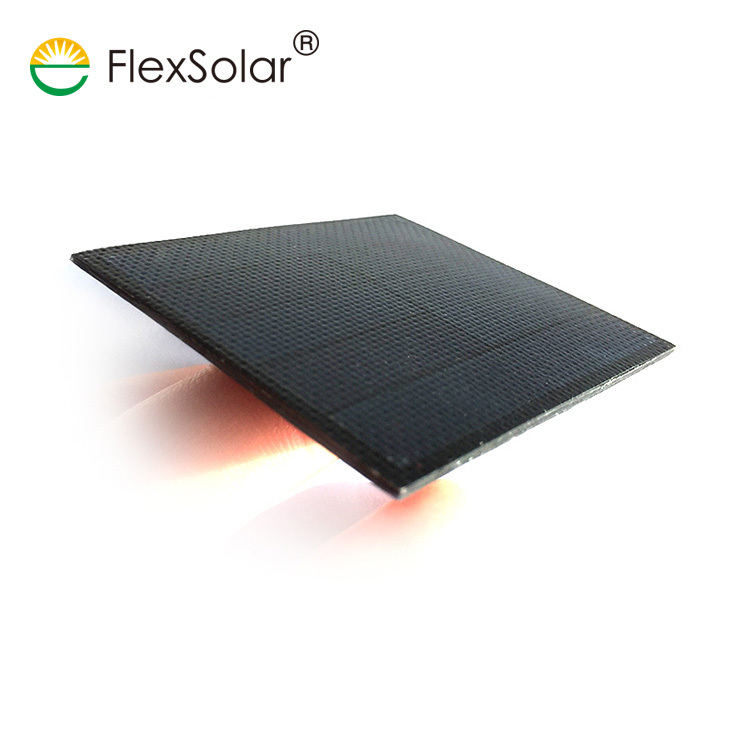 Integrated lamination ETFE makes foldable solar charger durable , 8- 10 years lifetime, dust resistance and self- cleaning. 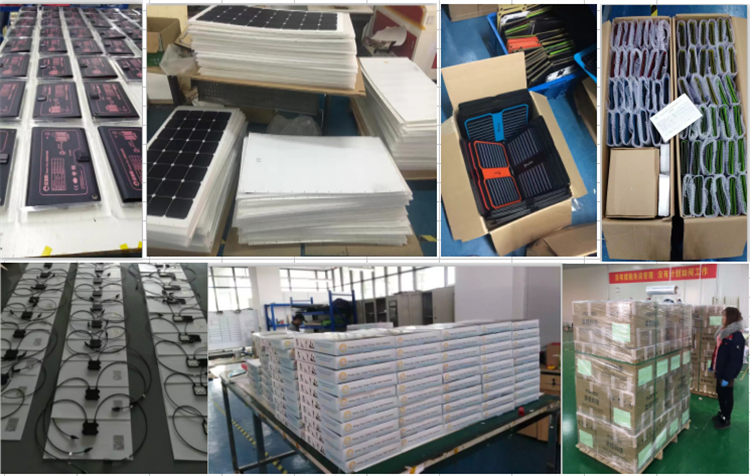 Using the high efficiency sunpower solar panel charger, it will need only about 1.5 hours to charge iphone fully under direct sunlight. 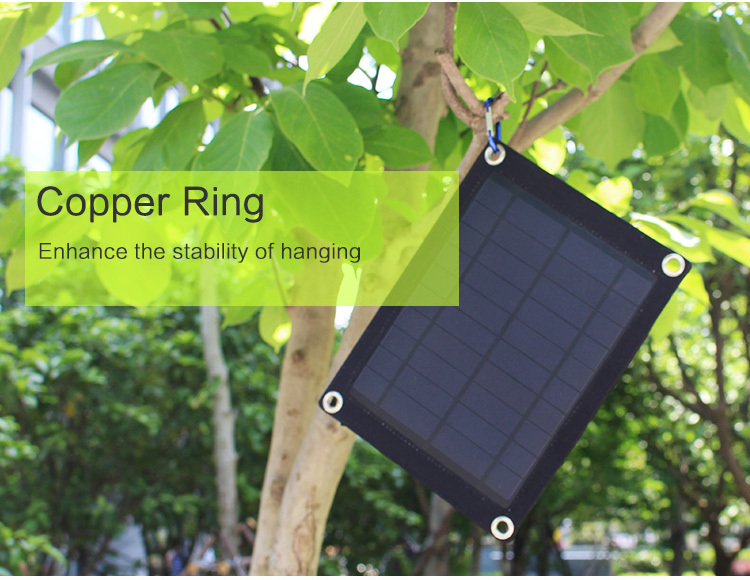 Suitable for charging power banks, cellphones, headphones and speakers • It can be attached to your backpack, charging your devices on the move. 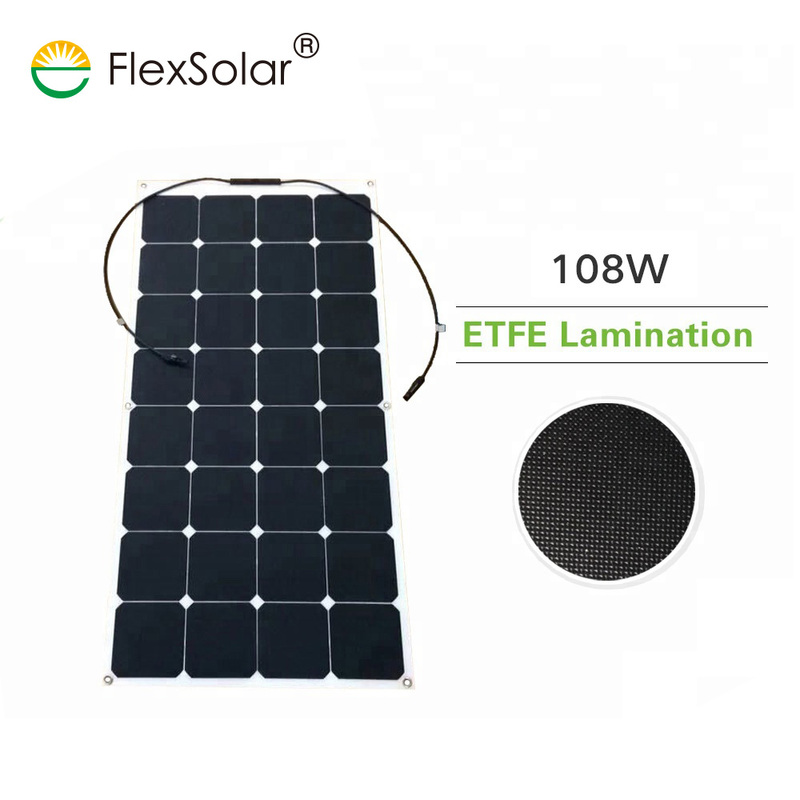 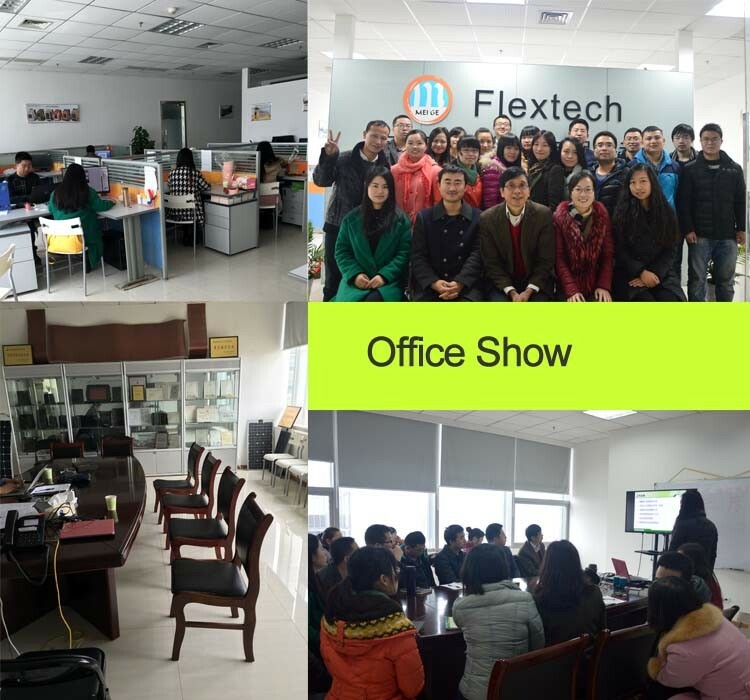 Flextech Company is a high-tech company which is specialized solar charger, solar panels, solar module, solar backpack and other applications, the high transfer efficiency is up to 24%, with full certificates. 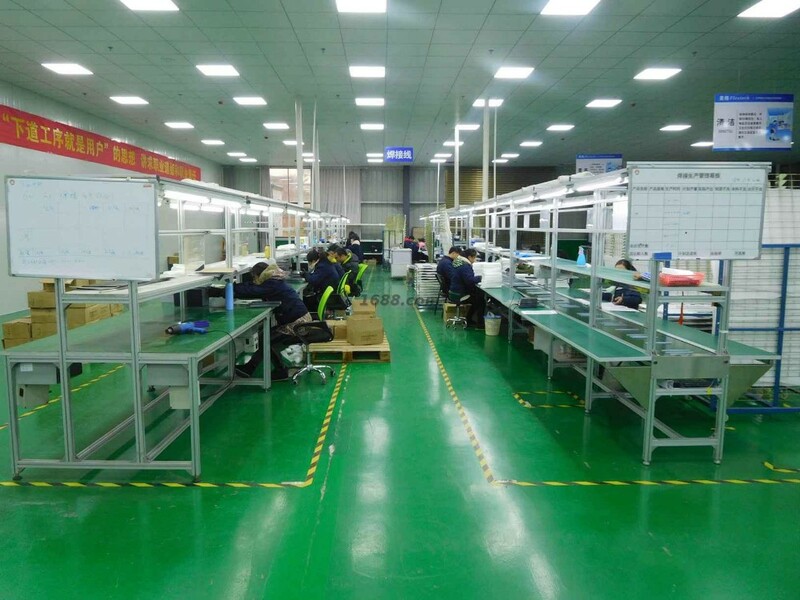 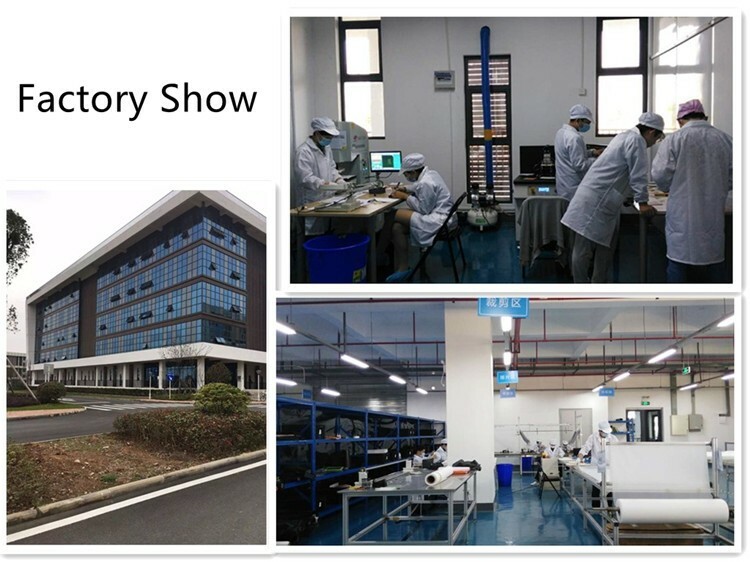 Only one factory in the field has the ETFE, PET, SMT production line.